A few months back, the Oppo R11 was one of the best midrange phones to get and the R11s is making an even stronger claim on a spot on your wish list. 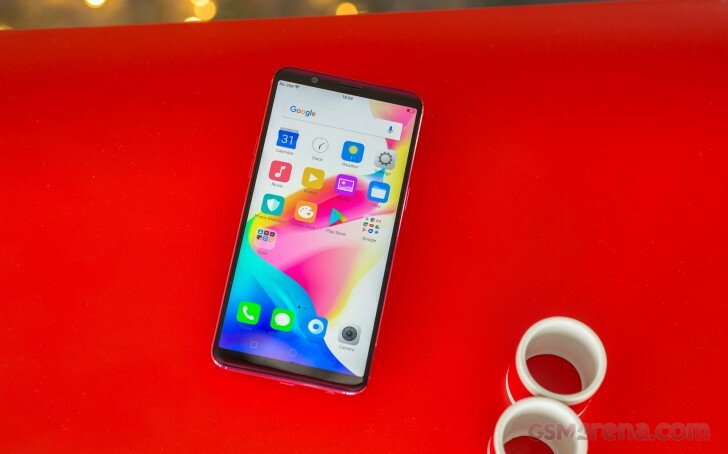 The S model boasts a trendy 6" 18:9 AMOLED screen with slimmed-down bezels, the same trustworthy Snapdragon 660 chipset and a new dual-camera setup with a 20MP secondary imager for low-light scenes, and a larger battery. The bigger, wider screen is obviously the highlight of the R11s, but Face Unlock is exactly the sort of novelty to draw positive attention to the new Color OS 3.2. It may not be as secure as Apple's, but it sure is faster and, well, affordable. Body: All-metal unibody, Gorilla Glass 5. Display: 6.01-inch 1080p 18:9 AMOLED, 401ppi. Rear cameras: Dual set-up with a 16MP Sony IMX398 sensor, 1.12 micron pixel size, f/1.7 aperture, PDAF, LED flash, portrait mode with bokeh effects, 4K @ 30fps video. 20MP secondary Sony IMX350 sensor, 1.0 micron pixel size, f/1.7 aperture. OS/Software: Android 7.1.1 Nougat; Color OS 3.2. Chipset: Qualcomm Snapdragon 660: octa-core Kryo 260 processor (4x 2.2GHz + 4x 1.8GHz), Adreno 512 GPU. Memory: 4GB of RAM; 64GB of storage; microSD slot (uses SIM2). Battery: 3,200mAh Li-Po (sealed); VOOC Flash charging (5V/4A). Connectivity: Dual SIM, 4G, dual-band 802.11a/b/g/n/ac, Bluetooth 4.2, GPS/GLONASS, microUSB, 3.5mm headphone jack. Water-tight bodies are no longer a rarity in the midrange and we hoped for the new Oppo to offer at least some degree of ingress protection. Well, not this year, we guess. And apparently the 60fps video recording is still a challenge for Oppo's imaging department, so it's still a no-go on yet another device. 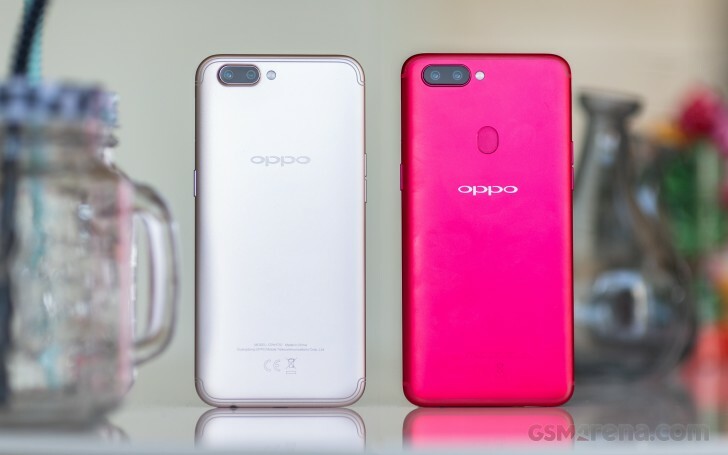 The screen, imaging capabilities and the solid chipset should help the Oppo R11s meet expectations and we guess the cool red paintjob will have no trouble getting attention. So, there we go. The retail box pops open right after the break. Where do you live? I think Oppo phones are easily found in Asia. For example, in my country Indonesia Oppo phones are very widespread, in fact so many phone stores have Oppo banner.